My name is depression Sara. I am anxiety a twenty year-old college student. I am OCD strong, ambitious, and passionate. I am body dysmorphia getting better. 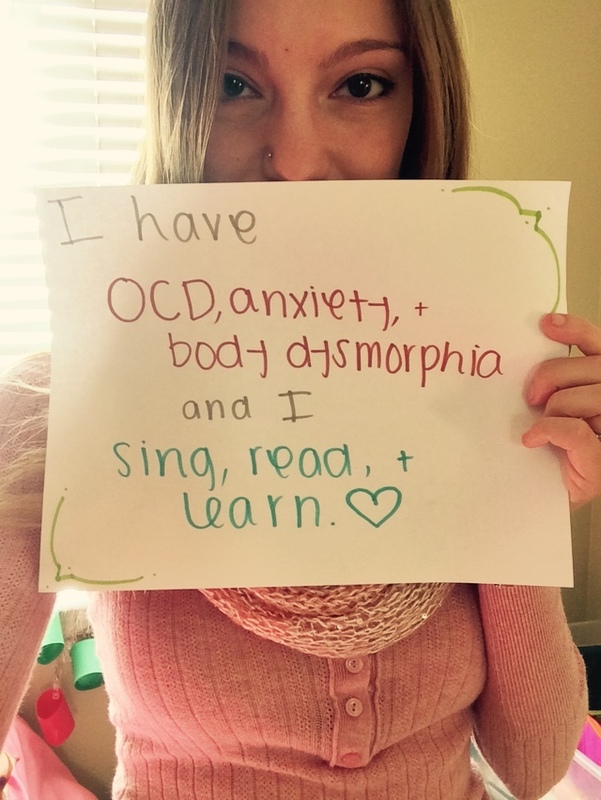 I suffer from depression, anxiety, OCD, and body dysmorphia. But these things no longer define me. I could go into every excruciating detail of why I suffer from these things – the bullying, the self-esteem issues, the little voices in my head that masked themselves as strength in order to feed on my insecurities and exploit my weaknesses. But for once, I am not going to let my experiences and difficulties define me. I am writing a new story – one of hope and recovery. These issues began affecting me when I was very young. For longer than I care to admit, I tried to ignore them and hope they would go away. But this set a fire and lit a chain of minor implosions until eventually, I blew up. A good friend’s attentiveness sent me to the Rio Norte Junior High office, and it was then that I realized that I needed true help. I sought it, and through plenty of therapy and the help of medication, loved ones, and various interests and activities, I got better. 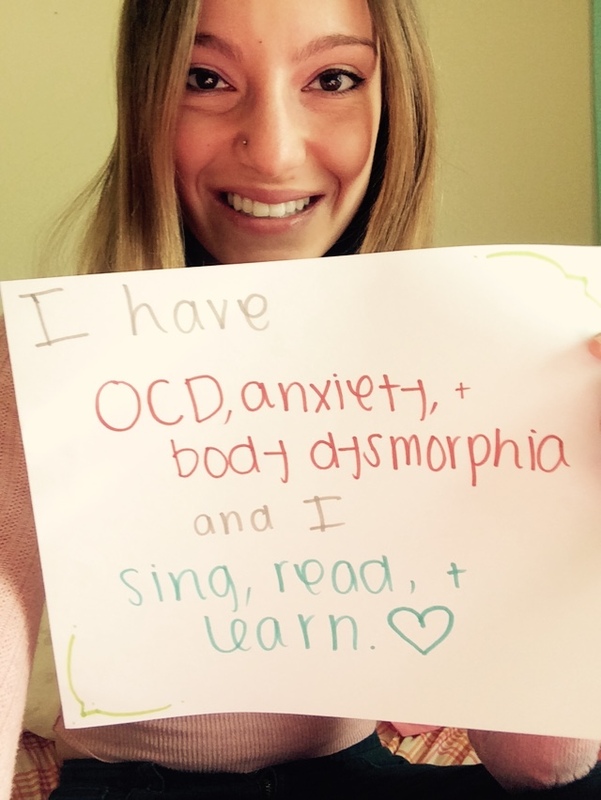 I am certainly not claiming to be cured – I often still have anxiety attacks (often triggered by my OCD), bouts of depression, and days where self-loathing clouds my vision and affects what I see in the mirror. But I am better. I am in a daily battle, but it is worth it because I have realized that I am worth it. My healing process has been long, arduous, and exhausting. There have been days when I want to give up on myself, and there have been times when I have been tempted to fall back into my habits or just let my negative feelings take over completely. I am still working on being able to take full control of my thoughts and emotions when I feel like breaking down, but I have found ways to combat it. Animals have always been a huge part of my life. When I am having a rough time staying stable, simply being in the presence of an animal helps. People often terrify me (which I know is simply a reflection of my own feelings about myself, but hey, I’m working on it), but animals are comforting to me. Music is a huge outlet. Listening to a song that either helps me completely purge my feelings or uplifts me always relieves some tension. Singing to the song is even better. I know this sounds odd, but I truly love school. I am studying to become a lawyer, and I absolutely adore learning new things, as well as how to think critically and logically. Of course, I don’t love the assignments, the testing, etc., but I love feeding my insatiable brain. Reading also helps me escape my own emotions. I love words, and I love seeing how words can be put together to create a fantastical tale in a world far from my own, so reading allows me to leave reality for some time while I pull myself back together. After all, this is my story and I am the heroine. My weapons are my passion, my goals, and my loved ones; with these, I can conquer anything – even the darkness within myself. We'll send you our recent blog posts, hangout invites, and zine releases. What self-care do you need?